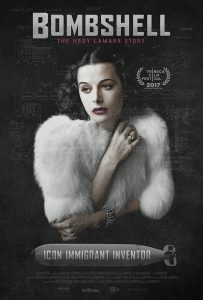 “Bombshell: The Hedy Lamarr Story” (2017). 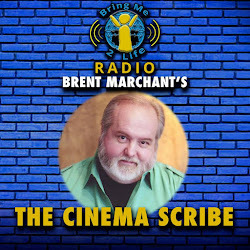 Cast: Interviews: Hedy Lamarr, Fleming Meeks, Anthony Loder, Denise Loder-DeLuca, Lodi Loder, Peter Bogdanovich, Mel Brooks, Robert Osborne, Jennifer Hom, Diane Kruger, Michael Tilson Thomas, Jeanine Basinger. Archive Footage: Merv Griffin, Howard Hughes, John F. Kennedy, Clark Gable, Victor Mature, George Antheil. Director: Alexandra Dean. Screenplay: Alexandra Dean. Web site. Trailer. In the 1930s, ʼ40s and ʼ50s, actress Hedy Lamarr (1914-2000) was arguably the most beautiful woman in Hollywood. 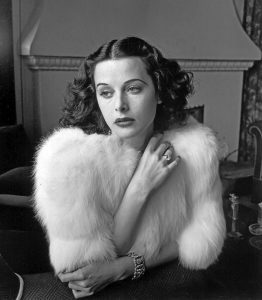 In the years before World War II, the Jewish Austrian émigré fled her homeland and made her way to the U.S., where she rocketed to stardom as one of the biggest names in motion pictures, appearing in such films as “Algiers” (1938), “Boom Town” (1940), “Ziegfeld Girl” (1941) and “Samson and Delilah” (1949). She also became the standard of glamour after which many other aspiring actresses patterned themselves. Her iconic looks even inspired the appearance of such fictional characters as Snow White and Cat Woman. But there was more to Lamarr than just a pretty face. She also had quite a mind for science, something she eagerly developed while in grade school in Austria. Despite no formal training, she had a robust curiosity and a natural knack for determining how things work and how things could be made to work to fulfill particular purposes. And, even though she was probably best known for her on-screen work, she quietly developed a respected reputation among scientists and inventors who became aware of her insights and abilities. For instance, she befriended aviation industrialist Howard Hughes, helping him with fashioning the wings for his new jet technology, an inspiration that came to her by simply observing the angular wing and fin shapes of fast-flying birds and fast-swimming fish and applying the concept to aircraft design. Her ideas thus helped Hughes overcome a fundamental design issue that his own team of engineers was previously unable to solve. However, Lamarr’s greatest scientific accomplishment came about as a result of something more near and dear to her own heart. As World War II ramped up, German U-boats sank Allied vessels virtually at will, and their targets included not only warships, but also transport craft ferrying refugees to freedom. With so many dying at sea, Lamarr believed something had to be done to stop the carnage, especially since she had relatives who were similarly looking to escape Europe and the tyranny of the Third Reich. Lamarr was interested in developing measures to counteract the German U-boats, specifically technology to undermine the submarines’ jamming capabilities for sending Allied radio-controlled torpedoes off course, missing their targets. Working with her friend George Antheil, a composer and pianist well acquainted with player piano mechanics, Lamarr developed a frequency hopping system that would enable the torpedoes from being jammed or detected, allowing them to reach their German targets. For their efforts, the duo received a patent, one in which the U.S. Navy initially expressed interest but eventually dismissed for technical implementation issues. 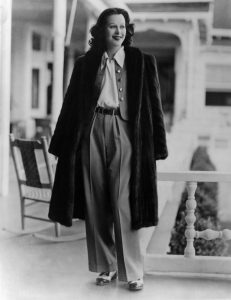 Despite this disappointment, Lamarr still wanted to do her part to aid the American war effort, seeking to join the National Inventors Council, but she was instead told that she could do more for the country by conducting rallies to sell war bonds. Her looks, it seems, were deemed a more effective weapon than anything she could develop technologically. Years later, however, Lamarr’s invention was rediscovered by tech pioneers who successfully used it in developing military defense applications and as the basis for creating secure WiFi, GPS and Blue Tooth devices. 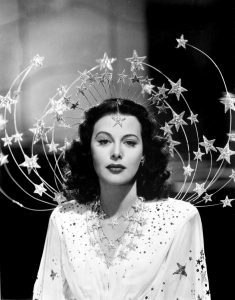 Unfortunately, Lamarr received no compensation for her discovery, and, due to a statute of limitations issue, she was unable to sue for patent infringement. That cost her greatly, given that experts estimate the technology’s application value at upwards of $30 billion. With her looks and movie career fading with age, Lamarr began to live a more secluded life. It was also a time when she began experiencing a variety of other issues. She lost a fortune trying to launch her own film production company (a rarity for a woman in those days), largely because she struggled with locating distributors for her movies. In an attempt to revive her career, she became preoccupied with plastic surgery, but the procedures often did more harm than good. What’s more, she wrestled with a meth amphetamine addiction, a problem that led to behavioral issues, including several scandalous arrests for shoplifting despite having large stashes of cash in her possession at the time. And, on top of all that, she became embroiled in several high-profile lawsuits involving the publication of her autobiography and with filmmaker Mel Brooks over the use of a variation of her name in the bawdy Old West comedy “Blazing Saddles” (1974). As Lamarr sank deeper into her seclusion, details about her life – particularly her scientific endeavors – were becoming lost to history. However, in 2016, filmmaker Alexandra Dean came across never-before-heard audio tape interviews with Lamarr conducted by Forbes magazine journalist Fleming Meeks. Through those tapes, Lamarr’s life comes alive, including details about her largely unknown technological accomplishments. An undiscovered multidimensional persona thus emerges but one about which Lamarr herself laments a woman of her day could have beauty or brains but not both. From the foregoing, one could rightly say that Lamarr’s life was a study in contrasts – someone who was capable of coming up with tremendous accomplishments but who also fell victim to many disappointments. It’s enough to cause one to wonder how she could be so inventive and ingenious, on the one hand, yet so prone to setbacks and letdowns, on the other. Why such a pronounced discrepancy? A clear-cut answer to that question may never emerge. 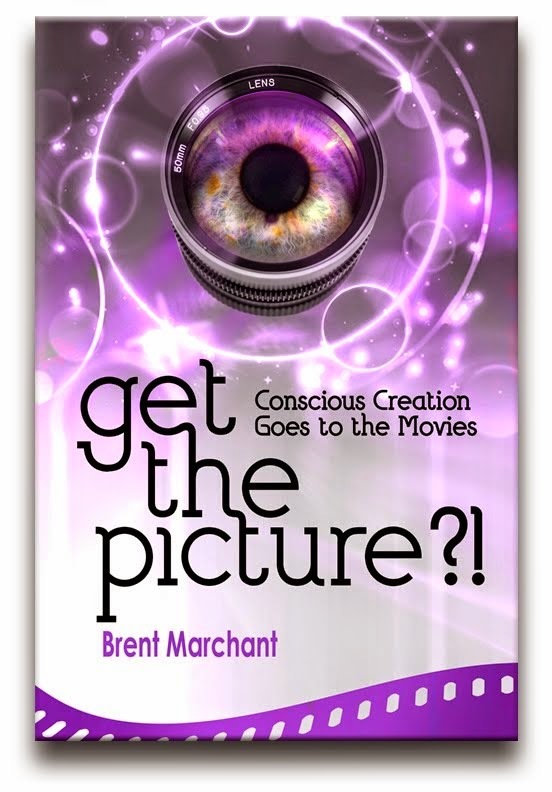 But, from a metaphysical standpoint, the workings of the conscious creation process may help to shed some light on things. Based on the notion that our thoughts, beliefs and intents shape the manifested existence we experience, conscious creation maintains that our reality is a reflection of those intangible building blocks, leading to the materialization of a world embodying those metaphysical cornerstones. And, if we were to apply that idea to Lamarr’s experience, it would seem that her life sprang forth from a collection of conflicted beliefs. For instance, as noted above, Lamarr observed that women of her day could have beauty or brains but not both. The implication here is that they would have to choose one or the other. Yet Lamarr successfully created both for herself, which raises the question, why would she manifest an outcome contrary to a fundamental belief? Such a contradiction, regrettably, tends to doom the creator to failure, since both results can’t exist simultaneously. By being forced into making a choice, Lamarr had to give up on one of her creations – despite her success at being able to materialize both – in light of her overriding contention about what women could “realistically” achieve for themselves. In many ways, this pattern tended to repeat itself in other areas of her life, reflecting an ability to draw in what she wanted but not being able to make it work. For instance, Lamarr had no trouble attracting men into her life. In fact, she was so successful at it that she married six times. The implication here, however, was that she could find but could not sustain romantic relationships in her life. The same was true of her experience as a businesswoman, having successfully launched a film production company but not being able to make a go of it over the long term. And, when she sought to revive her career by having plastic surgery, she even managed to come up with ideas for some innovative procedural techniques that have been used ever since, despite the fact that they didn’t work in her case. And then, of course, there were Lamarr’s many technological innovations. The ideas for them came to her quite effortlessly, as if flowing in on an unfettered stream of consciousness and uninhibited intuition. But, when it came to putting those creations into use, stumbling blocks appeared at seemingly every turn. 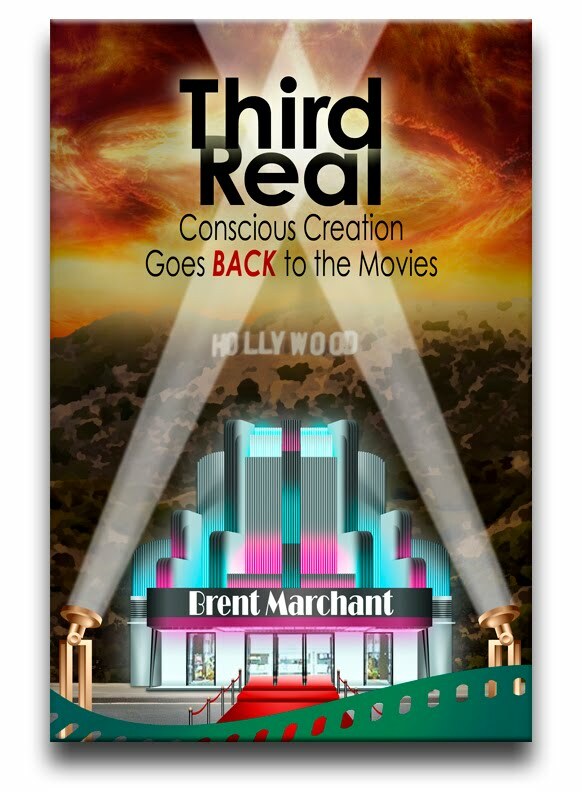 Again, she could draw to her what she envisioned but had trouble making it work once the idea transformed from an intangible concept into a corporeal manifestation. Conundrums like this naturally raise the question, why did she do things in this way? Isn’t this a recipe for disappointment and disillusionment? One might easily say yes. However, there could be other belief considerations to bear in mind. For example, when it came to Lamarr’s development of the frequency hopping technology, she was inspired by strongly felt personal considerations, namely, sparing the lives of innocent victims and military personnel at the hands of Axis forces. And, as events played out, the idea for the invention came to her comparatively easily. In conscious creation terms, this is an expression of Lamarr practicing her value fulfillment, the principle of us being our best, truest selves for the benefit of ourselves and others. When we tap into our value fulfillment, drawing upon our sense of personal integrity, materializations in line with these concepts tend to arise with relative ease. And, because value fulfillment urges us to further the cause of this kind of unencumbered altruism, we often proceed in acting without concern for ancillary considerations, such as those related to personal gain (or even potentially conflicting beliefs). All of which may help to explain why Lamarr never benefited financially from her technology; she did the right thing in developing it, regardless of whatever else might have come from it – positively or negatively – including any compensation that would have been due her. However, were these outcomes inevitable? Not necessarily. Given that conscious creation maintains we have access to an infinite number of manifestation possibilities at any moment, we can conceivably materialize anything we wish as long as we have adequate belief support behind such initiatives. Lamarr could have chosen a different result if she had maintained different underlying beliefs. But, considering the prevailing cultural beliefs at the time (i.e., most notably that she lived “in a man’s world”), the impact of such notions most likely undercut any alternative intents that she may have attempted to formulate, thereby leading to the results she experienced. Truly unfortunate. By the same token, Lamarr’s experience may have also served to draw attention to the kinds of regrettable disparities she and other women endured. What’s more, a film like “Bombshell” helps to shine a bright light on such once-prevalent inequities, providing viewers with an excellent example of a woman who was indeed capable of succeeding in more than one arena. In that sense, then, Lamarr may have been a role model without being fully aware of it, showing us possibilities that may not have been available in her day but that are certainly entirely feasible now. It’s unclear if Lamarr ever heard of conscious creation, but, considering how insightful she was, she may have had an awareness (even if only subconsciously) of it or something like it. 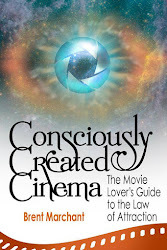 Given her remarkable prescience in so many ways, her actions and accomplishments reveal someone who had mastery over many of conscious creation’s fundamental principles, even if she wasn’t overtly aware of them or knew what they were called. Those seeking to live up to their potential can draw upon her successes as a source of inspiration in becoming all they hope to be. “Bombshell” brings forth Lamarr’s many sides – including the triumphs, the missteps, the successes and the downfalls – through her own words, as well as those of her family, friends and journalist Fleming Meeks and those of film industry and scientific experts who have studied her life and work. The documentary effectively combines these conversations with clips from Lamarr’s movies and historical footage and photos from her personal and public life. In doing all this, director Dean gives viewers an insightful look into the life of a Hollywood legend who had talents far beyond her acting ability and intellectual attributes equal to her iconic beauty, most of which were unknown, overlooked or downplayed by a society not ready to accept a woman who possessed both qualities. This film thus does justice to someone for whom such accolades often eluded her during her own lifetime. Lamarr’s story essentially details what it means to struggle for recognition of our abilities in a world that, unfortunately, is often all too unable or unwilling to recognize them for what they are. It’s gratifying to see efforts like this that help to make up for those oversights and, one would hope, that we don’t make the same mistake again.